Premium Quality Glow Dagger that glow brightly for 6-8 Hours and beyond! These are an excellent addition to any party or pirate fancy dress costume. 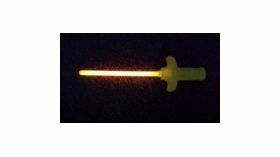 Each dagger comes in 2 parts, a 6" x 10mm Glow Stick and a 4" yellow plastic handle. Simply activate by gently bending until you hear a 'crack' then shake to achieve full glow. 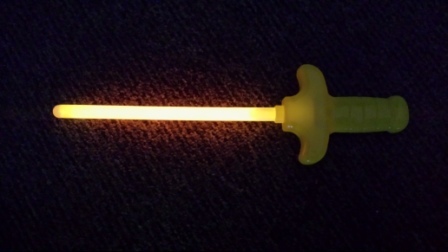 Then insert the glow stick into the handle to make a fantastic glowing dagger. Please note that they are NOT designed for sword-fighting ! These glow daggerss are always freshly imported and have a shelf life of 3 Years!